The moment we walked into Maialino searching for an afternoon treat we could feel the energy. The room fairly hummed with it. It felt like every table was a group of people involved in making, creating, dreaming the world we live in. I think if I had walked into the Rainbow Room in its heyday I might have fainted from the aura of such amazing people gathering to lunch and talk business. 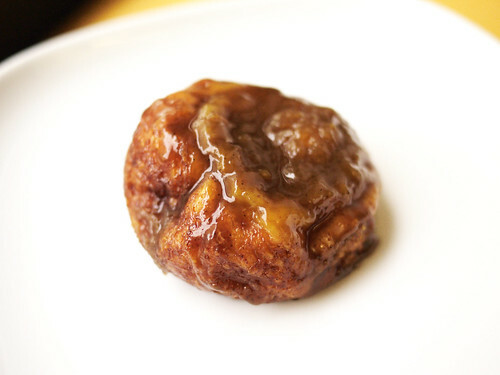 On a more mundane note, when I bit into the toffee brioche, I said aloud to M., "This tastes like a cinnamon roll. Like a really really delicious cinnamon roll."